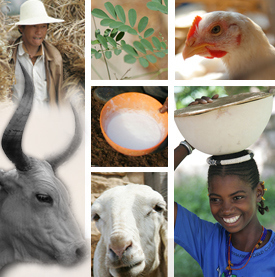 Since 2008 the Centre Suisse de Recherches Scientifiques en Côte d’Ivoire (CSRS) and the International Livestock Research Institute have collaborated in the Safe Food, Fair Food project to improve the safety of animal source food in informal markets in West Africa. Since then, six postgraduate students were trained in participatory risk analysis and conducted proof-of-concept studies with their Professor and Director at CSRS, Bassirou Bonfoh. 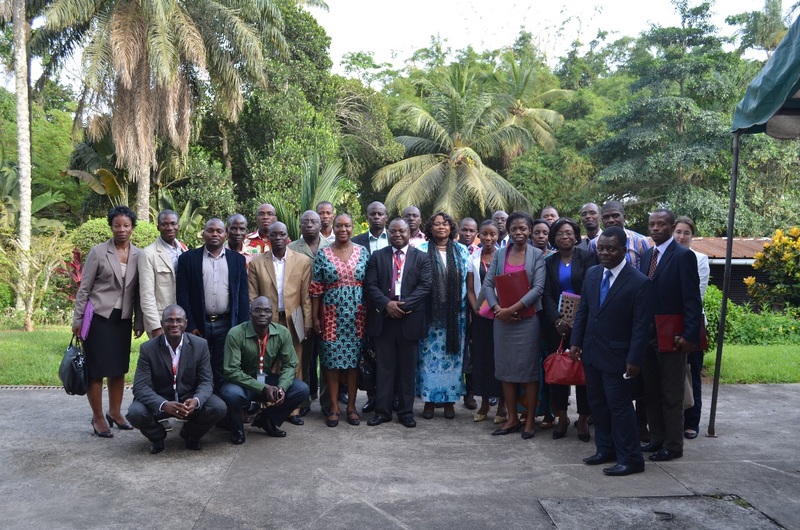 On 12 February 2014, the team at CSRS including three of the Safe Food, Fair Food ‘champions’, organized a workshop with 29 food safety stakeholders in Abidjan, Côte d’Ivoire. The stakeholders worked in two groups to achieve two main objectives: a) to synthesize works on risk analysis and to identify problems of introduction of risk analysis in the curricula of universities and b) to find ways for the establishment of a system of epidemiological surveillance of food borne diseases, especially from animal sourced food. The meeting was funded by the Safe Food, Fair Food project. One of the challenges in the introduction of risk analysis (RA) in university curricula is that RA is still a relatively new concept in Côte d’Ivoire. Some institutions already have experience in the field of RA but there is a lack of trained human resources at the universities. At the meeting, the presently four teachers of RA proposed to the authorities of their universities to introduce risk analysis in their courses at University Nangui Abrogoua (UNA), University Felix Houphouët Boigny (UFHB) and Institut National Polytechnique Houphouet-Boigny (INP-HB) starting in 2015. From 13 to 14 February, following the stakeholder meeting, CSRS conducted a training course on participatory risk analysis for 35 MSc and PhD students in food science. The participants came from two national universities and three graduate schools in Côte d’Ivoire, where interdisciplinary and trans-disciplinary approaches as well as participatory risk analysis are still limited. The two universities are UNA and UFHB, both in Abidjan; whereas the three graduate schools are the Institute of Technology (EST-LOKO) of the LOKO group, an association of 17 institutes for higher education in Côte d’Ivoire, and the Voltaire Institute of Higher Education (IVESTP), both in Abidjan, as well as INP-HB in Yamoussoukro. The training was sponsored by the Strategic Program for Scientific Research in Cote d’Ivoire, PASRES, and the Afrique One consortium and covered six thematic areas: food security in the informal sector, risk assessment, risk communication, risk management, basic epidemiology and participatory methods. Students were very enthusiastic about the topic because they acquired new skills in a field that was new to them as well approaches they had never learnt in their school years. As a follow up, a proposal on Learning Events was submitted to the Swiss Commission for Research Partnership with Developing Countries (KFPE) on 28 February 2014 to train MSc and PhD students from four national universities, from Swiss Tropical and Public Health Institute (Swiss TPH) and from two Graduated schools of Côte d’Ivoire working in food sciences.We envisage a total of 28 trainees for the course and there will be an average of four students from each of the seven institutes. We are awaiting the outcome of this submission.